This history section has been provided by Jim and Josephine Gill whose strong family connection to the Peninsula is very apparent, in three of our street names. Gill Avenue is named after Jim’s father Jack who subdivided the land. He fought in Gallipoli, was wounded and returned from the war, eventually becoming the first councillor for Te Atatu on the Waitakere City Council, during the 1960’s. Mayburn Road was named after Jim’s mother May, whose maiden name was Burn and Kelvin Crescent was named after Jim’s brother Kelvin who was known to everyone as Jack and lived on the Peninsula all his life. He died at 89 and Josephine says he was a wonderful character who “built half of Henderson”, through his construction company Bonner Gill. Josephine’s grandparents farmed five acres that is now the corner of Matipo and Taikata Roads and Jim’s grandfather farmed land that is now Spinnaker Drive. Jim says he and Josephine met because they lived nearby each other and when they married, Te Atatu was undergoing its first housing development. He owned a Fordson tractor and remembers rotary hoeing sections for the purchasers of the new Neil Housing, as they settled in. One of his customers was the legendary Community Constable Jack Pringle when his house was built at 492 Te Atatu Road – now the base of the current community constable. The Gills remember when some of the roads were paved in white shell gathered from the shell banks at the end of the Peninsula and Jim has memories of venturing out into the mud flats during the war, to find bomb casings left after bombing practise by the air force. 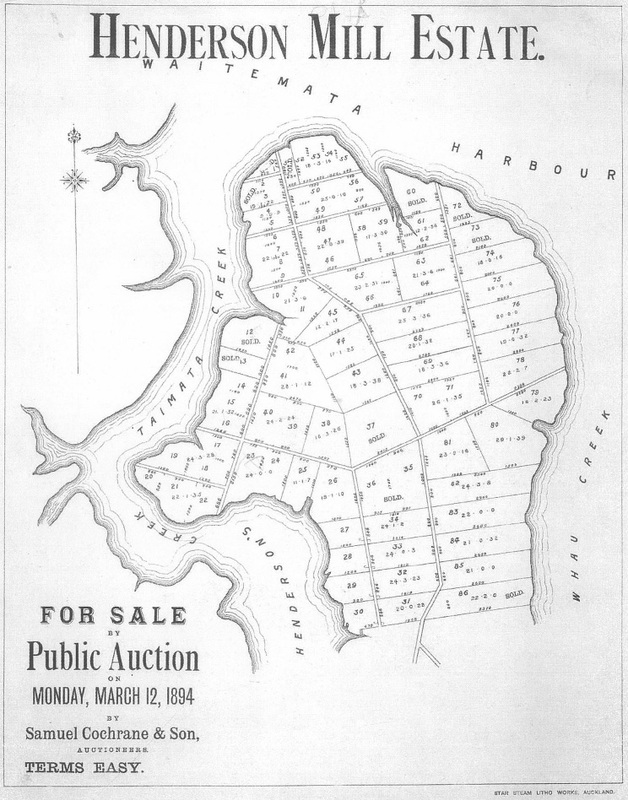 The first recorded European history of Te Atatu Peninsula was the purchase of a large block of land by Henderson and McFarlane in 1855 from the Crown, for 2,377 pounds and 15 sterling. 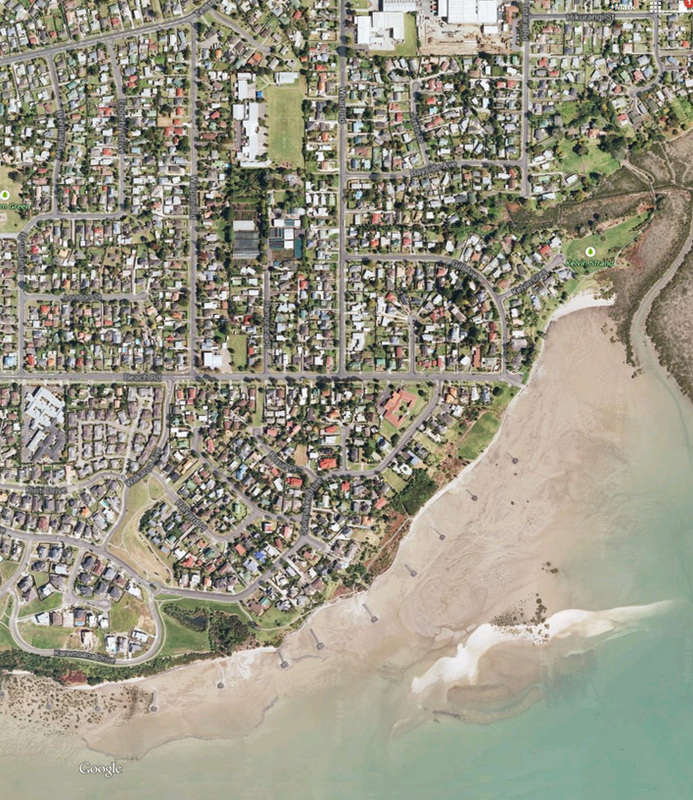 This included the entire Te Atatu Peninsula, Lincoln Road and a large area of Henderson. Further subdivision was undertaken some time later with the first recorded sales in 1870 and a few more over the next few years, with a large auction sale in 1894, when further lots were sold. By 1900, roads had been formed and houses built. A wharf was also built at the western end of Wharf Road. The main access for many years was by boat from this wharf and was often very difficult and unreliable due to the tidal nature of the harbour. Records show that three brick works were established before 1900 on the Peninsula. One of these was located just north of the present motorway bridge to Avondale and another on the site of the Taikata Boat Club. The first roads were paved with shell obtained from the shell banks on the northern fringe of the mangroves at the north end of the Peninsula. This was done by way of a gantry across the mud flats at the north end of Te Atatu Road. Later some of the roads were paved with bricks. 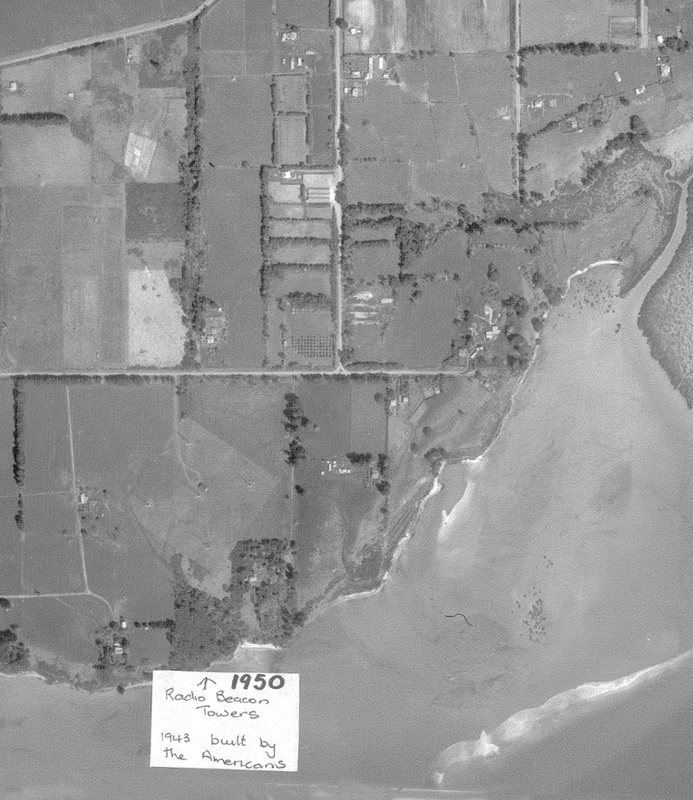 Up until 1909, the Peninsula was known as Henderson Point. It was then renamed Te Atatu, meaning ‘the break of day’ or ‘the dawn’. This was done by the Reverend Jackson Bennet who came to live in Te Atatu. 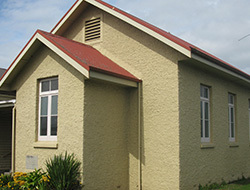 In 1910 the Methodist Church was established with about 10 families meeting in a local school. Later in 1926 a church was built on the corner of Taikata and Te Atatu Roads. It was constructed from bricks obtained from the chimney of Hartshorns brick works at the north end of the Peninsula. The building is still there today. 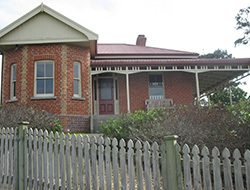 Some of the houses built at this time were also built of brick and an example of this is the restored, historic Semadeni House in Longbush Rd, built in the 1890’s and now overlooking the Harbourview-Orangihina reserve. By the 1930s there were about 50 houses on the peninsula and along with a hall, a school and the church there was a general store with Post Office facilities and a petrol pump. The only sports facility was an active tennis club. A living was made from various forms of farming including poultry and pig farming. There were glass houses and some of the smaller farms milked a few cows. The cream was collected daily and taken into the city. 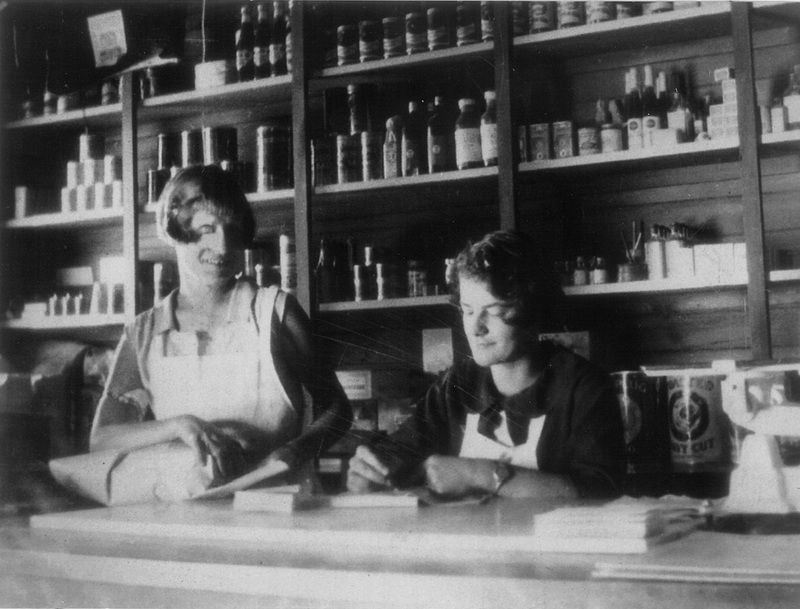 Some of the larger farms were on the town milk supply, which meant year-round milking. It was collected twice a day and taken into the city. A daily workers bus was operating by 1940 and most of the roads had been metaled and some of them sealed. The trip to town was via New Lynn and Point Chevalier and usually took the best part of an hour. The service was operated by the Auckland Bus Company in New Lynn. During the 1939 – 45 war, a home guard was established and three of our local men joined the military and served overseas. 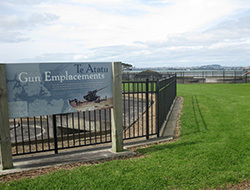 Details of their service are recorded at the Te Atatu Peninsula Memorial RSA in Harbourview Drive. In 1942 the Americans built five large towers on farmland in Beach Road opposite Waipani Road. These were for a radio location beacon, used for navigation for overseas flights and it remained in operation until the 1960’s. The construction of the anti-aircraft gun emplacement began in 1943 on farmland in Harbourview Road but by the time of its completion it was no longer needed, so it was never manned. The emplacement has been preserved as a heritage site in Gunner Drive, as it is known today. There was very little development after the war. A few new houses were built and some of the poultry farms were expanded and new ones established. The most significant development was the taking of the land by the Auckland Harbour Board for development. 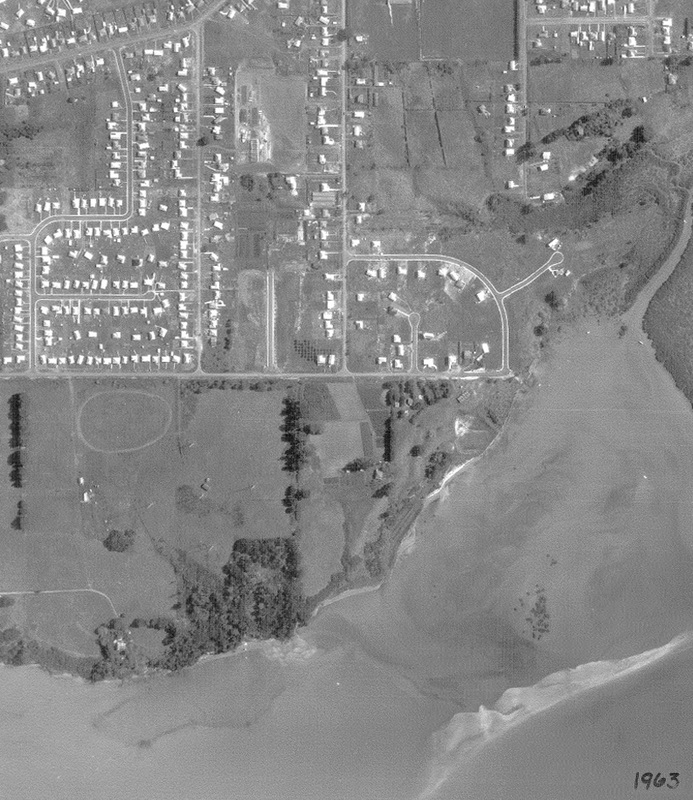 This included the area on the city side of Te Atatu Road and Beach Road, extending to the north side of the Peninsula. 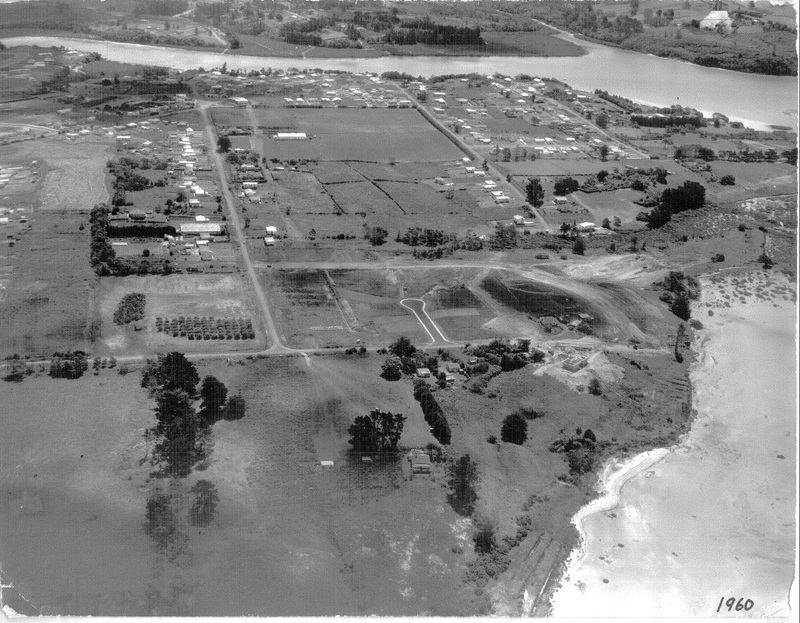 By the start of the 1950’s and the commencement of the North West motorway construction, development started in Te Atatu. The first development of new roads was carried out by Mr Hec Ramsey. These were Yeovil and Peachgrove Roads. Sections were then sold and houses built. With the completion of the motorway in 1956, the pace of development increased. First the sections on existing roads were sold and then new roads formed. Neil Housing was the biggest developer of the time. This was followed by new shops – a chemist, dairy, butcher, a garage and more grocery shops. The land between the West coast, the Waitemata and Manukau Harbours and the Whau portage has seen more than a thousand years of Maori occupation and use. The Auckland Isthmus experienced many waves of Polynesian migration over the millennium with each new group to the area, finding existing tribes within whom they would eventually mix. The Kawerau A Maki have been a distinct tribal entity since the early 1600’s when their ancestor Maki and his people settled in the Waitakere area. However they have ancestral links with people occupying the area at least as early as the 14th century. Ngati Whatua also have links to West Auckland. They established themselves on the Auckland Isthmus in the mid 17th century after defeating the Waiohua peoples under the leadership of Rangatira Tuperiri and Te Wahaakiaki. Due to the important marriages between themselves and Te Kawerau, the latter were left in peace in the Waitakere ranges and West Auckland. 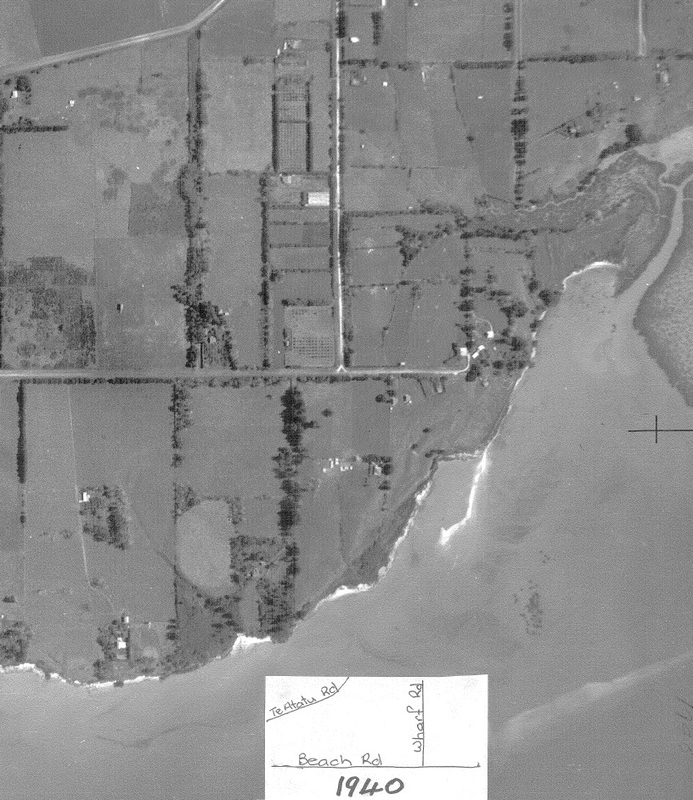 Maori settlement in West Auckland was largely based around the coast and the redhills soils that were suitable for growing kumara. Fishing and resource gathering settlements were numerous along the coastal edges. The harbours and adjacent land were used extensively, particularly during the summer months, for fishing camps and the collection of resources from the forests and coasts, including timber, birds and plant fibres. The Whau Portage, Riverhead Portage, the Kaipara to Whau walking track and the Te Henga to Whau walking track formed the backbone of a comprehensive communications network through West Auckland. Archaeological evidence shows a clear pattern of site distribution, with settlement particularly focussed on headlands jutting out into the harbour and at the entrance to major estuaries or creeks. These locations provided easy access to the harbour and inland sites, easy canoe landings, fresh water and land suitable for seasonal gardens and would have been visited year after year to keep the gardens and maintain fishing rights. By the 1850’s, the Crown had purchased the Waitakere land east of the main ridge and, following the purchase of the land West of the ridge in 1854, the remaining Kawerau people were reduced to living in ‘Native Reserves’ near the West coast. Ngati Whatua, who had occupied their Karangahape Pa at Cornwallis up until 1837, moved to their Orakei settlement as their estate was also rapidly alienated. Despite this, some traditional patterns of settlement continued well into the 20th century. There are records of local Maori who lived on campsites along the banks of the Taimata Creek (Te Atatu) and grew potatoes, kumara and other vegetables and dug kauri gum for a living.